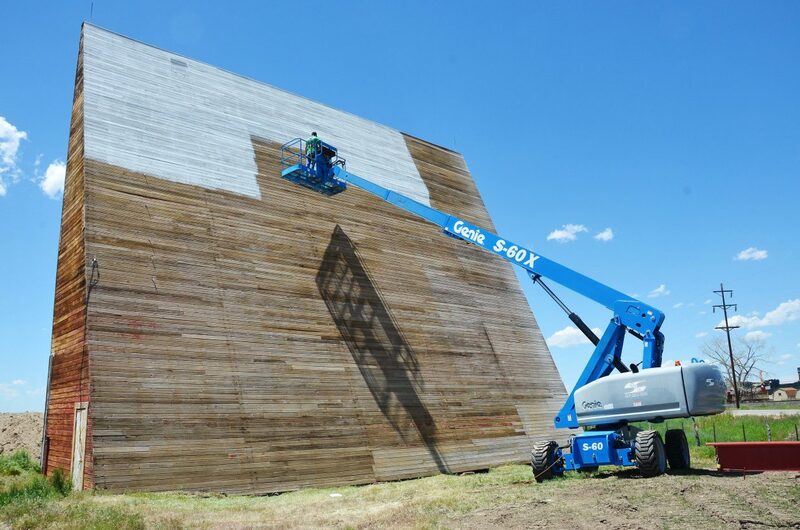 Craig's drive-in on the east side of town will have a mural put on it featuring Moffat County attractions. Craig’s old drive-in theater — closed for more than 20 years now — will get to share another story, but this time through a mural instead of projected film. The Craig Chamber of Commerce has been working for almost a year on a project with community members and businesses on showing off what the county has to offer on a large mural that would take up the east side of the drive-in theater. The design of the mural will incorporate different elements that highlight what Moffat County has to offer. Among other things it will include the wave pool, the Craig station stacks, features of Dinosaur National Monument and the wild horses, said Randy Looper, who is on the mural committee. The project was budgeted for about $50,000, but it should come in less with the new process, Oxley. It should be completed in the fall. Severson Supply washed the theater the first week of June and began painting the entire thing white, said Gail Severson, who owns the business. “My guys went over and spent three days pressure washing it. We will do a wraparound mural on the east side of the screen,” she said. The mural was originally commissioned to local artist Nini Shroyer, but she suffered a neck injury that made it impossible for her to take on such a project. So, the Chamber turned to Jeremy and Joel Browning, brothers who could pull together an artistic feat. Jeremy Browning, of Chaos Ink, will design the mural. Joel Browning, owner of Identity Graphics, will print it on the billboard material and apply it to the theater. The mural was projected to last about 30 years with three different touch-ups. But, the billboard process, while cheaper, likely will need more upkeep. “Somewhere between five to 10 years, you have to replace it,” Joel Browning said. The drive-in is already a tourist attraction, Oxley said. With a mural, it will become even more so. “People will pull off the road an take pictures next to it because it’s not something you see all the time,” she said.